After the immense popularity of my 10 Game of Thrones Cocktails, I felt like I had to make a Game of Thrones Party Menu to go along with all that booze. This easy Game of Thrones party menu is an impressive way to spice up GoT night with friends or your significant other. Or even just for you boo boo. Treat yo self. We begin the journey in Dorne. 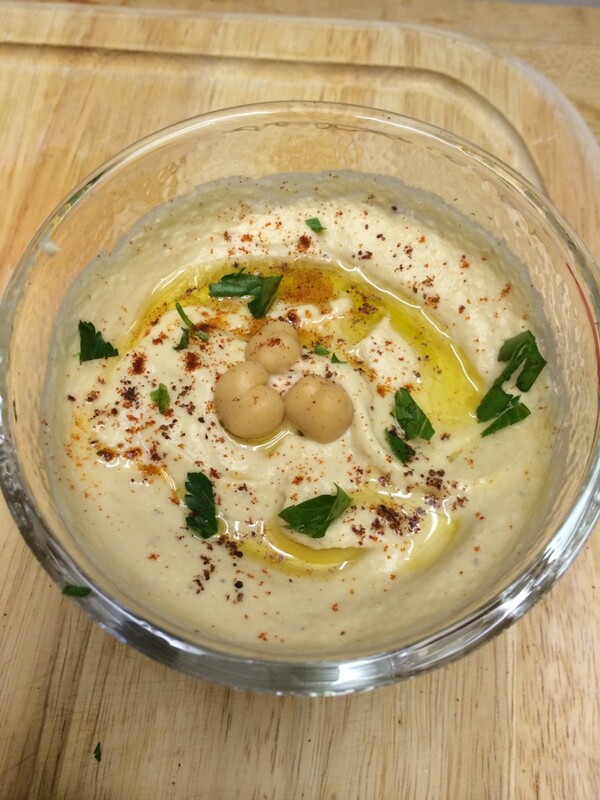 You can use store bought hummus and place into a bowl, using the back of a spoon make grooves in the hummus and drizzle a little bit of extra virgin olive oil in them. Sprinkle on sumac if you have it, other wise a sprinkling of paprika works fine. Cayenne too. And now we find ourselves in Flea Bottom, a slum in King's Landing. MAIN DISH I made a Bowl of Brown (Paleo Grass-fed Chili). Flea Bottom's finest! Make my recipe or any other chili or stew recipe that you can make early in the day and not fuss over until it's ready. Perfect for a crockpot. Aaaahh... it feels so good to watch that slap over and over. Now, we find ourselves in luxurious King's Landing, surrounded by treachery and deceit. Maybe some lemon cakes will make us feel better? DESSERT This Lemon Cakes recipe is so easy and the cakes are very addictive. They're basically mini lemon pound cakes with a sweet lemony glaze (!). So, go on, throw a Game of Thrones party and impress your friends with this super easy menu. No one has to know that you didn't spend forever in the kitchen slaving over this feast. No shame in it, I mean, where are we? Slaver's Bay? ...and enjoy the last few episodes of the season. Also, you can subscribe to my blog below. I'll send a raven with news of delectable foods, fit for the gods themselves. Actually, I'll just shoot you an email. But, whatever.